Making text-to-self connections is easy with the adorable story of the Pout-Pout Fish by Deborah Diesen! 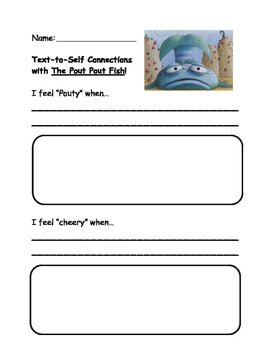 Students will write about when they feel "pouty" and when they feel "cheery", then illustrate their answers. No prep, formative assessment! Enjoy!